Microsoft last fall introduced limited Xbox One gifting options in the Microsoft Store. The feature turned out to be a big hit among gamers and now, Microsoft is expanding the program in a big way. Up to this point, only select Xbox One titles were eligible for gifting along with downloadable content and subscriptions to Xbox Live Gold and Xbox Game Pass. Now, all Xbox One games qualify for digital gifting. Best yet, Microsoft has added PC games and PC downloadable content like map packs and skins to the mix. To send a digital gift, simply navigate to the product you want to buy on the Microsoft Store and select Buy as Gift. You’ll be able to enter the e-mail address of the gift recipient or select their Gamertag from your list of Xbox Live friends. They’ll receive a code and instructions on how to redeem it. Microsoft does have a few restrictions in place that you might want to be aware of. For example, purchasers can only buy two discounted products – and a total of 10 discounted products – in a 14-day period (there’s no limit for gift purchases made at full price). Furthermore, gifting of Xbox 360 and Xbox original games, free products, pre-orders and virtual currency is prohibited. 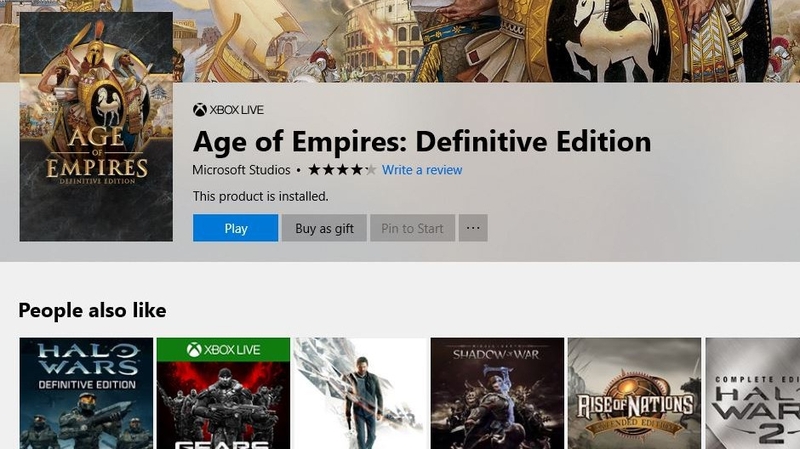 John Smith, senior director of Microsoft Store product marketing, said all PC games should be available for gifting by May 11 (today).